Sponsored by the City of Lemon Grove, the Egg-stravaganza is a free kid’s egg-hunt with thousands of eggs, and community booths with games, jump-houses, activities, and give-aways. Engage Community Church’s Easter Adventure is a fun, interactive telling of the Easter story, complete with singing, dancing, crafts, and games. 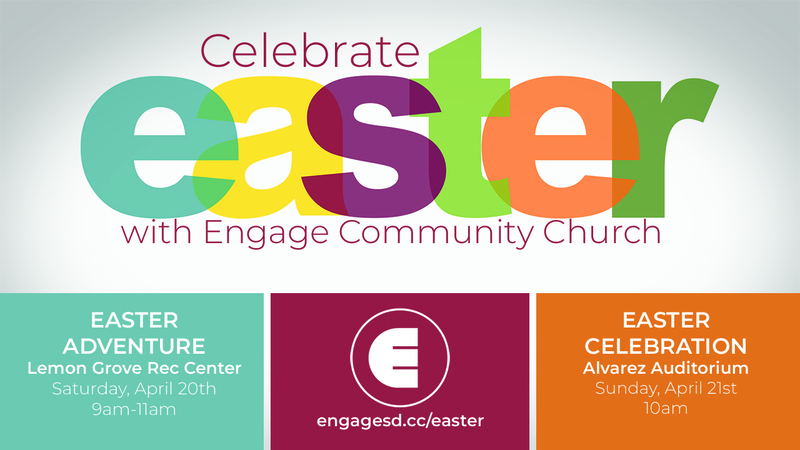 The Easter Adventure continues the next day in the kid’s program at Engage Community Church’s Easter Celebration. Life doesn’t have to be the way it’s always been. Find out how the first Easter changed everything, and how you can experience that kind of change in your own life.